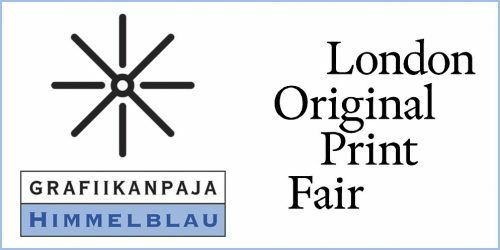 Himmelblau Printmaking Studio will be attending the London Original Print Fair this year for the third time. 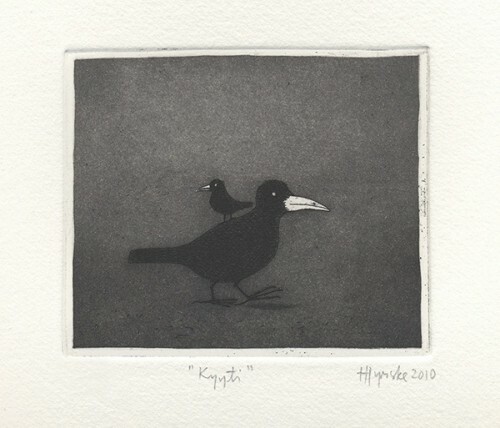 The intaglio workshop based in Finland has been operating for over twenty years locally and internationally thanks to the excellent artists it represents, and its high level of specialized professional workmanship. The studio is proud to have collaborated with renowned artists such as Sean Scully and Richard Deacon. 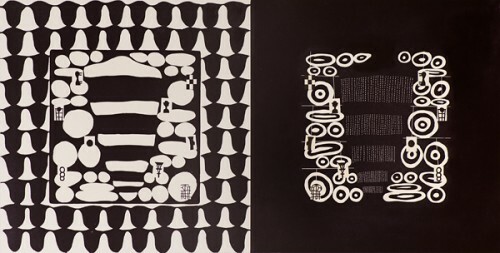 At home Himmelblau is at the center of Finland’s vibrant graphics scene representing perhaps the most well known international Finnish artists; including Juho Karjalainen, Inari Krohn, Tiina Kivinen, Jaakko Mattila, and Janne Laine. NOTE! 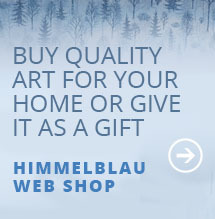 The international Himmelblau Web store opens on the week of the fair. Richard Deacon is one of the most renowned modern sculptors. 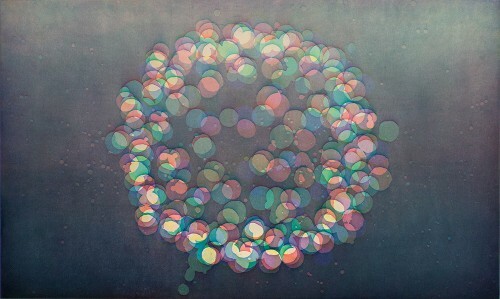 His works can be seen at central public locations in various cities around the world. The identifiable character of the sculptures is based on biological forms of nature; beautifully curving and complexly winding structures, tightly bolted routes of wood and plywood, capsulation and piling-up of steel. 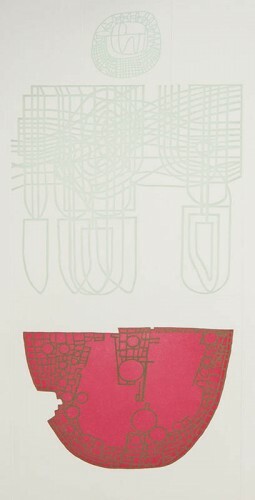 The edition of prints Richard Deacon produced at the Himmelblau studio was created using Photo Gravure and photo etching techniques. 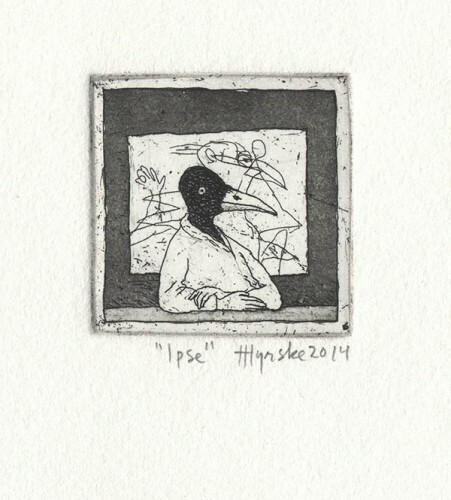 The pictorial motifs have been bitten on the plate by photogravure and the drawing added by photo etching. The pictures can be recognized as panoramas of large metropolises’ around the world. Deacon’s drawing adds the artist’s comment and touch. 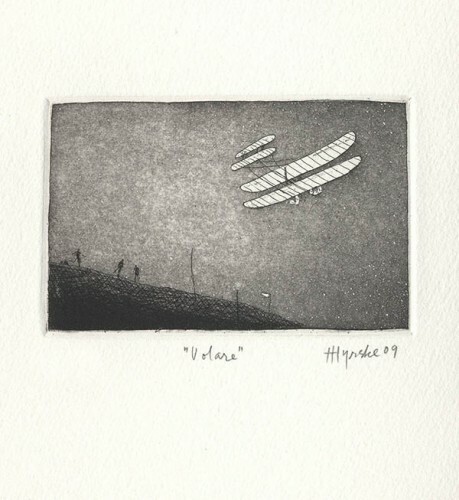 Janne Laine is known for using a rare traditional form of photogravure etching called Heliogravure. 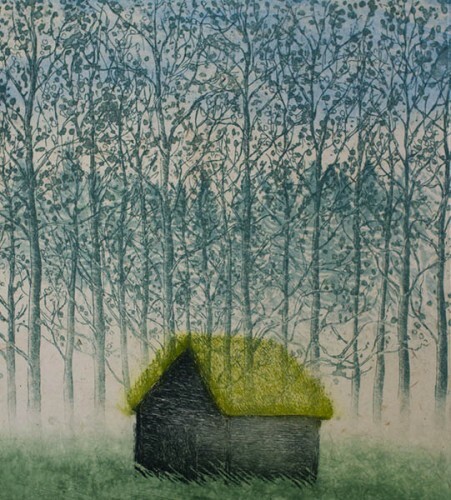 This process of printmaking lends his traditional landscape works a dreamy surreality. 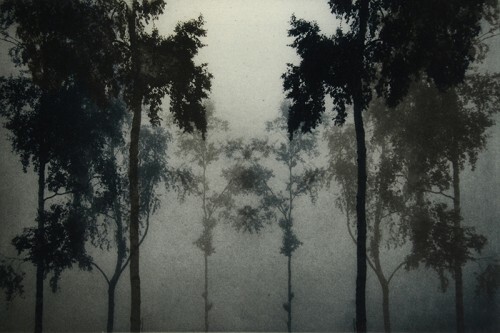 His landscapes are informed by the romantic vision of the sublimity of nature. 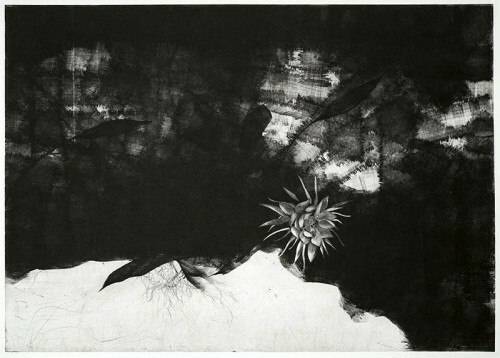 Without tying the subject to a specific place or time the artist projects a vision of nature that is unrecognizable and possibly more associated with visions of the subconscious. His work could be seen as an ongoing search into the tradition of landscape depiction; evidence of the vitality of one of the most essential subjects in art. 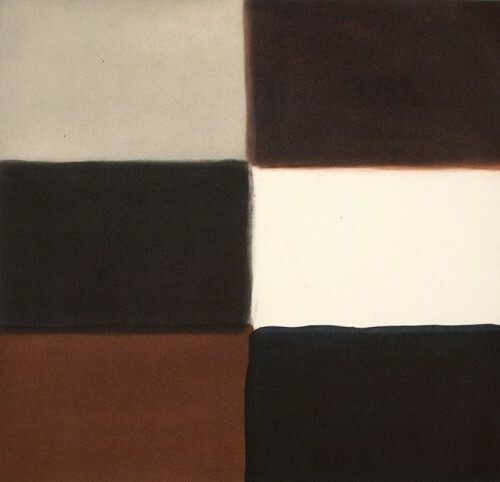 The visual idiom of Irish-American artist Sean Scully consists of wide stripes and square formations. 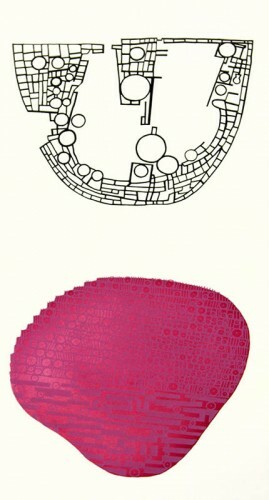 These flourish in his art graphics as well, along with his soft-coarse colour repertoire. 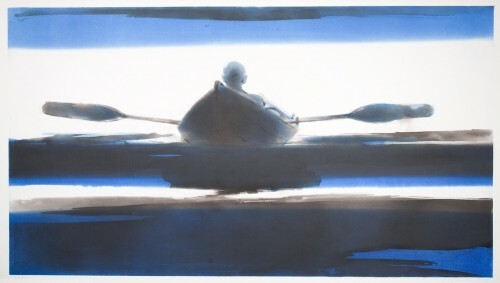 In addition to painting, he has made printmaking his own ever since the 1960s. 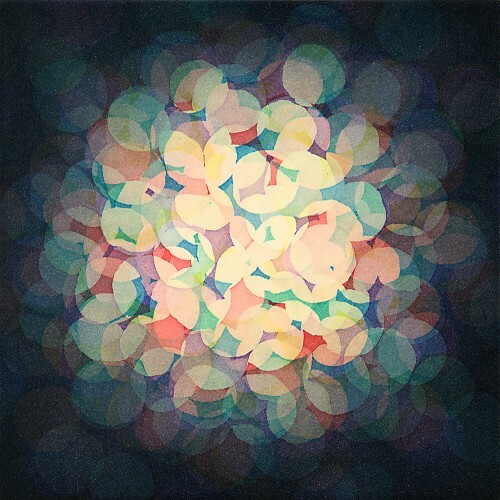 Art graphics is an independent part of Scully’s production, which deserves its due attention. 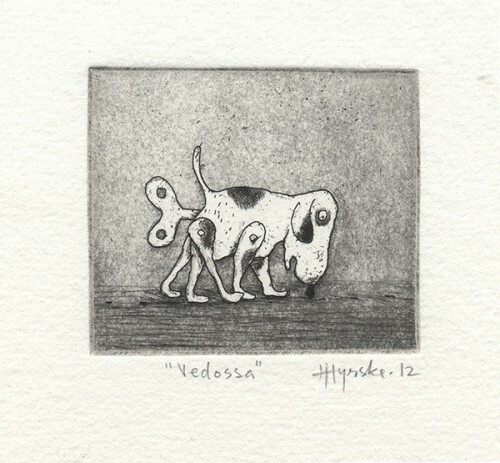 For Scully, every single printmaking method is full of challenges and opportunities for expression. 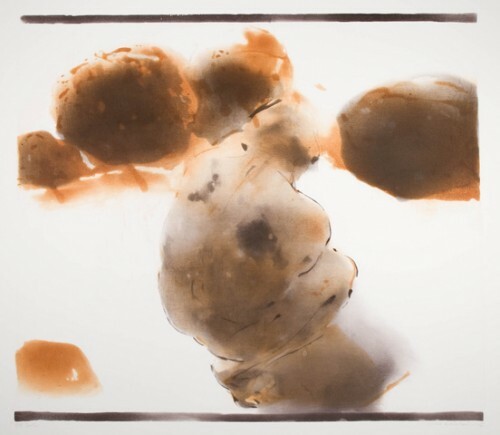 Cooperation and interaction with the art printer are important for Scully, who, as a painter, works alone. 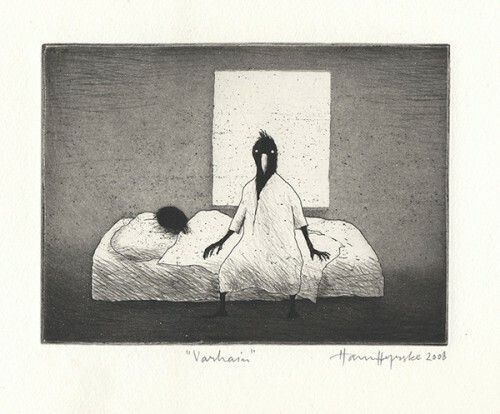 The physicality of his painting manner is also reflected in his printmaking: the qualities of the plate and paper are put to good and careful use. 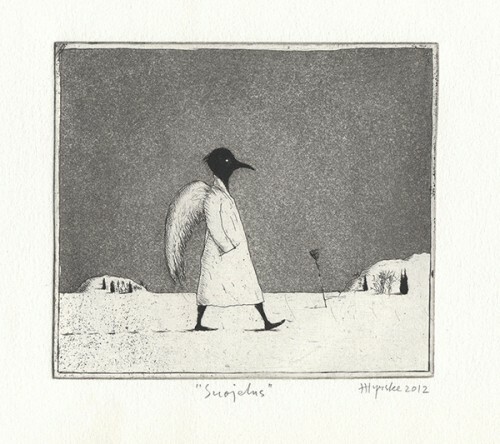 Juho Karjalainen is a virtuoso in etching large aquatint plates. 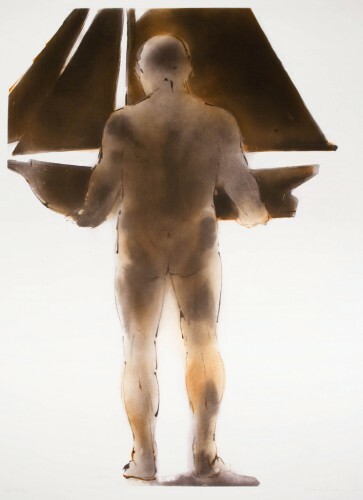 His human figures are often depicted from behind, slouched, concentrated in their own existence or trajectory. Karjalainen avoids overtly narrative details. 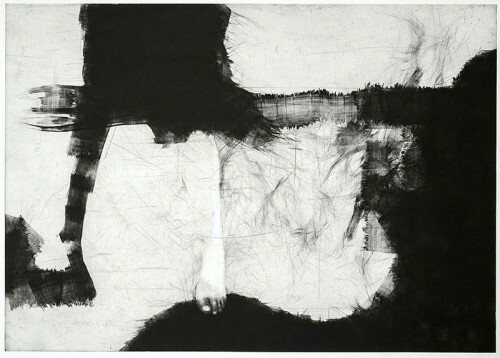 In Karjalainen’s works, the plane of the back and the depression of a hip are ambiguous landscape elements. Light cast on the shoulders, the top of the head and the hollow of a knee acquires a magical quality. 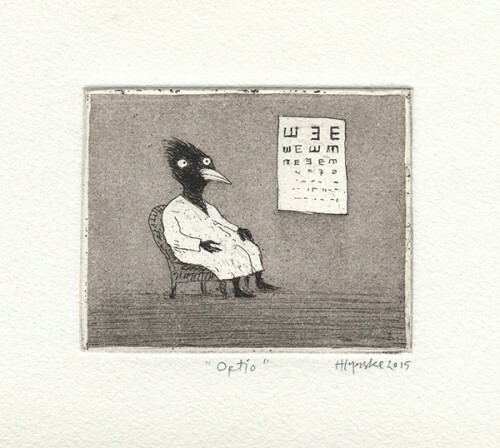 The image has the velvety softness of aquatint and the greys and browns present themselves in numerous different shades. 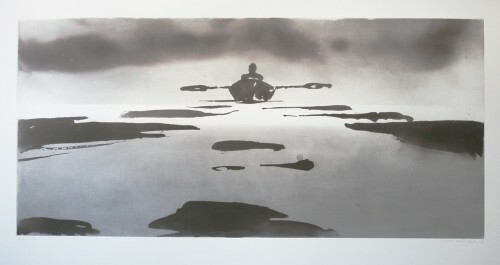 Karjalainen’s works emanate classical, rudimentary beauty. 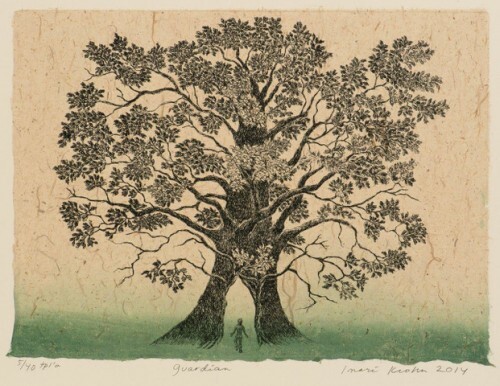 Compared to the usual size of prints, his works are large and thus demand their due space. His figures have a highly tangible presence. 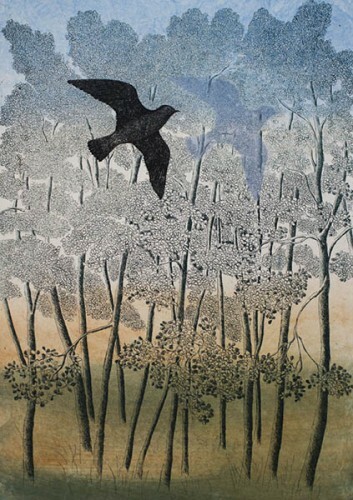 Jaakko Mattila is a renowned artist from Finland, however, he has spent the greater part of his career studying and exhibiting within England. A graduate from the Surrey Institute of Art, Jaakko Mattila combines the simple aesthetics of Finnish design of the modernist golden age, and the language of coarse arctic natural form. 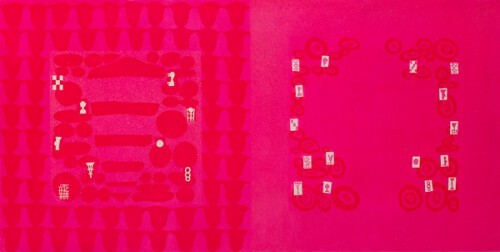 His intaglio prints play games of shape and colour harmony in multi-layered colour plates. 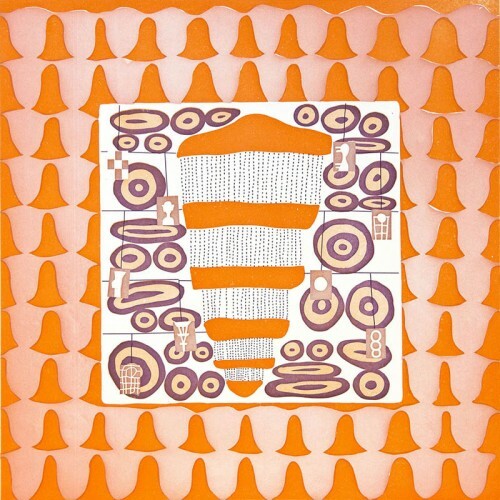 Tiina Kivinen is one of the most interesting artists in the new generation of art graphic makers in Finland. 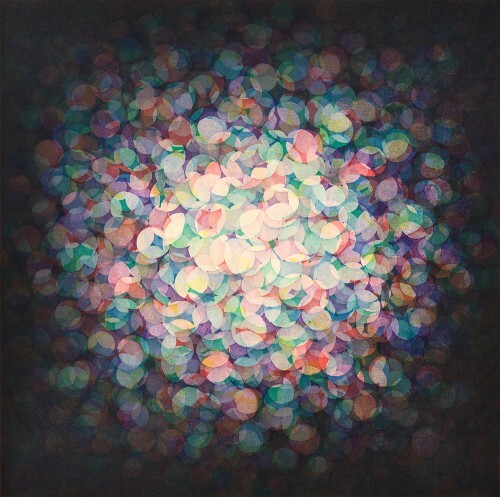 Her works are spacious and luminous. Earlier Kivinen was mainly known for her nature subjects but lately the human figure has emerged as a more important theme. Quite often she depicts things and creatures that are small and hard to notice and therefore get neglected and mistreated. 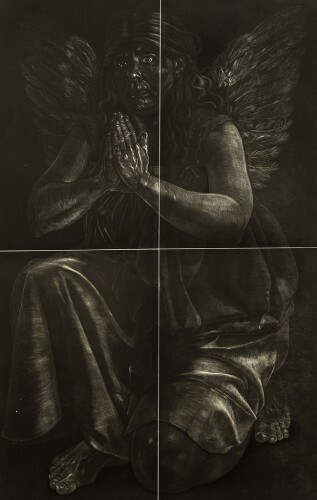 An intensive, velvety black is usually the key element in Kivinen’s work. 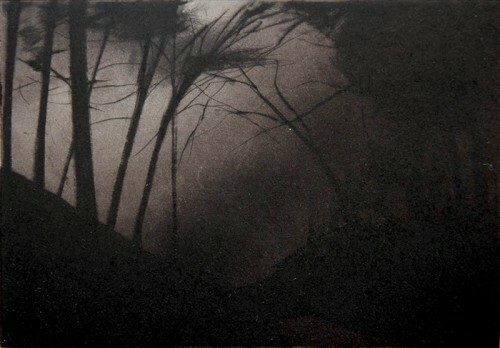 The dramatic, mythical colour is produced with mezzotint technique. 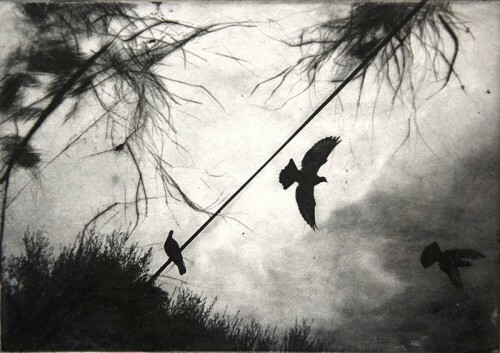 In mezzotint the metal plate is systematically roughened with special rockers so that the ink holds well. Then some areas are smoothed so they appear lighter. 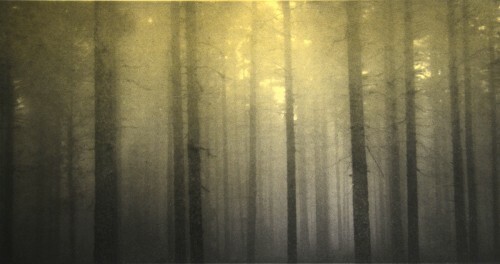 Kivinen also uses monotype and etching techniques. 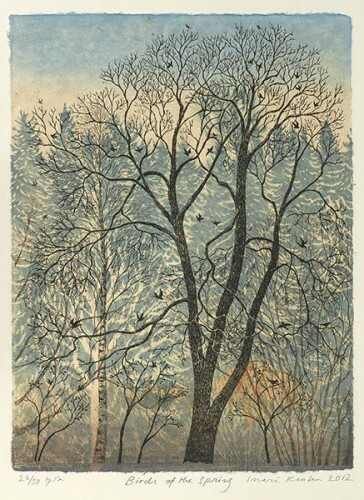 Inari Krohn (1945–) is one of the few European graphic artists to utilise the very demanding Japanese woodcut technique. 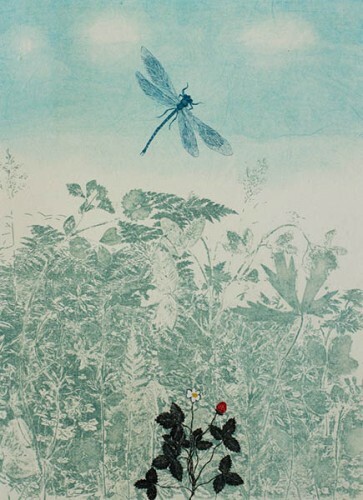 Krohn combines metal graphics with the classic watercolour woodcut works. 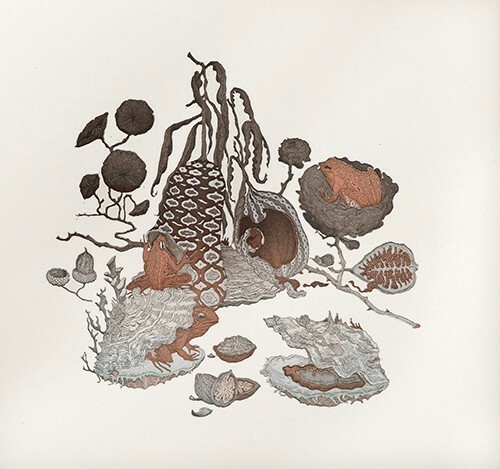 She describes nature in a way that is universally understandable. 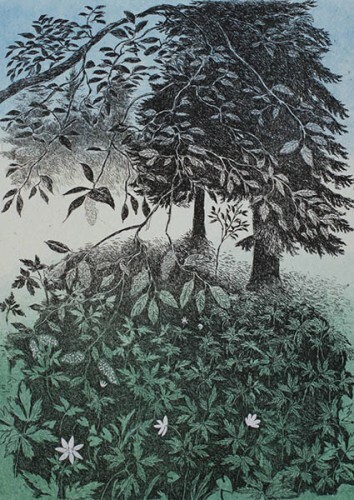 She depicts trees and other plants with rich detail, yet manages to create a simple impression. 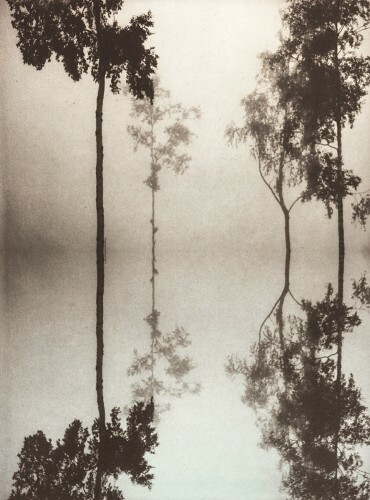 Her landscapes are timeless and independent of the present moment. Yet, they cannot be summarised as fairy tale images; the atmosphere makes the subject matter almost sacred. 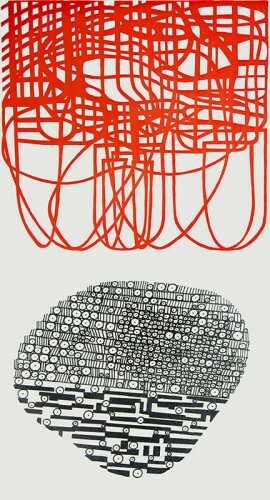 Marika Mäkelä (born in 1947) became one of Finland’s most famous contemporary artists during the 1980s. Opulence has a very central role in Mäkelä’s works. Her art is mainly non-representational, but both her paintings and her graphics have references to representational topics. Most often, these are in the form of signs, cultural symbols and ornamentation. Nature experiences and the expression of light have been especially important for Mäkelä. 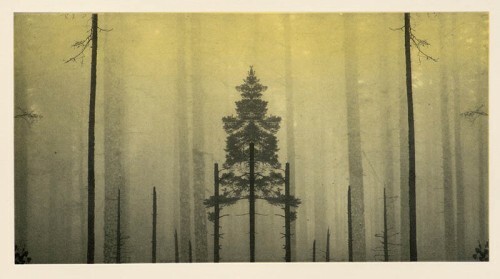 These new prints use photo etching and aquatint as techniques. 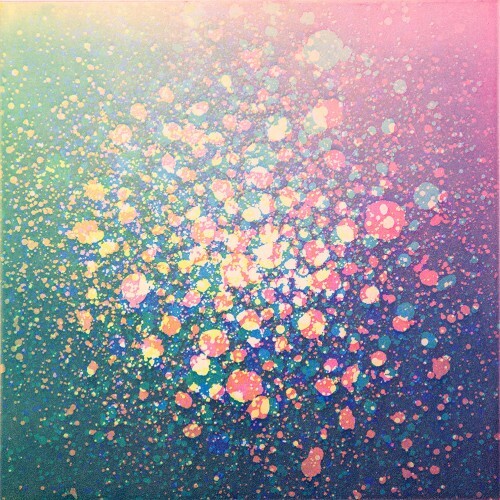 They also use glitter, which is typical of the artist but unusual for the intaglio technique. 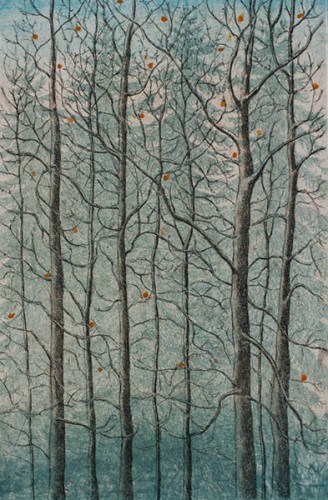 Stiina Saaristo (born in 1976) is a talented drawer who is best known for her large works in pencil and coloured pencil. 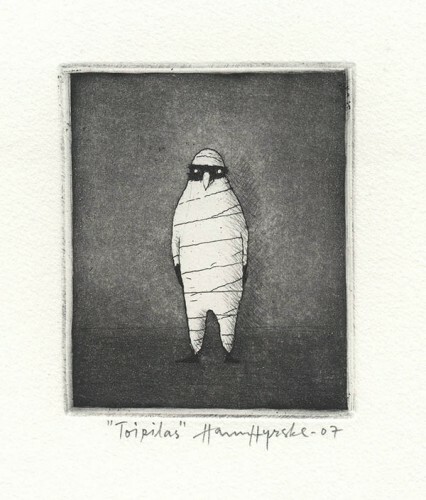 At Himmelblau, Saaristo has been creating intaglio works with themes that are also present in the rest of her portfolio. Saaristo’s works are alienated portraits. By exaggerating her features, wearing masks and adding imaginary elements in her works, the artist studies questions related to gender roles, womanhood and the exercise of power. 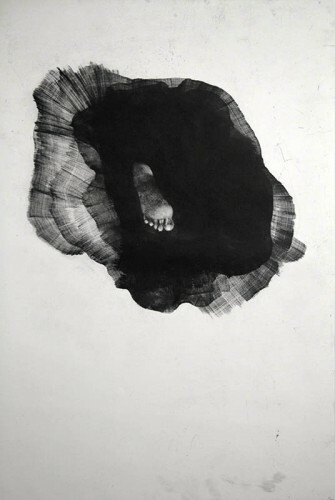 Societal expectations concerning performance and appearance are also critically studied in Saaristo’s works. 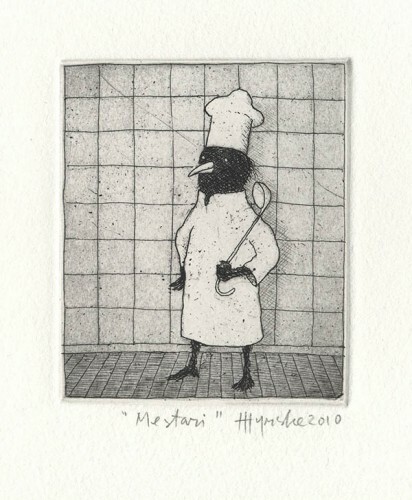 Despite the important and serious themes, Saaristo’s works are also often humorous. Klaus Haapaniemi (born in 1970) is currently one of Finland’s most internationally successful designers. 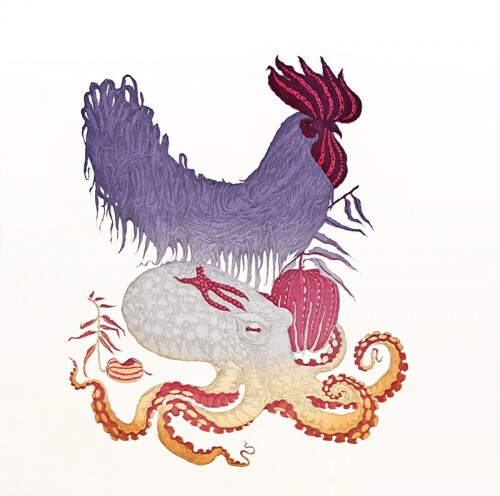 His creations combine Japanese and Russian aesthetics, on the one hand, and the world of folk tales and anthropomorphic animal figures, on the other hand. He has also designed the costumes and staging for the Finnish National Opera’s production of “The Cunning Little Vixen”. At Himmelblau, Haapaniemi has been using gravure printing for the first time. 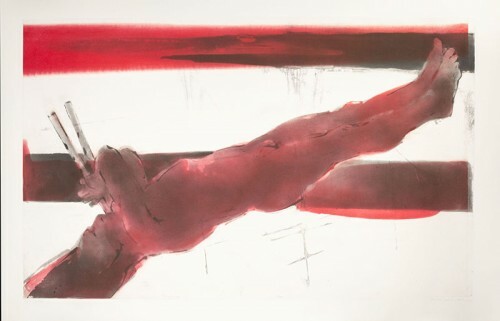 By looking at his virtuoso-like strokes, it would be impossible to tell that he is only starting to grasp the intaglio technique. 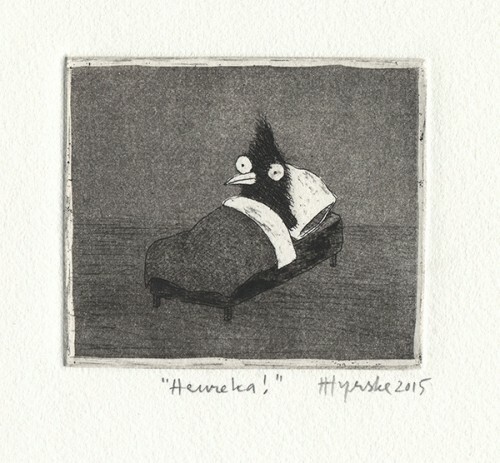 The new works are compositions, and they also feature the animal creatures that are present in Haapaniemi’s other works. 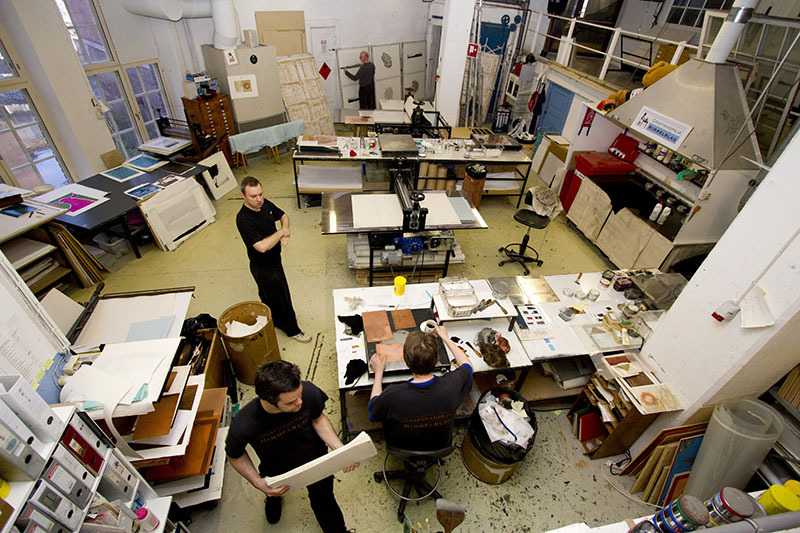 Himmelblau Printmaking Studio is located in the heart of Tampere, within the historic Finlayson factory area. Founded in 1989, it has a handsome workshop with a spacious gallery, featuring changing exhibitions by outstanding artists. 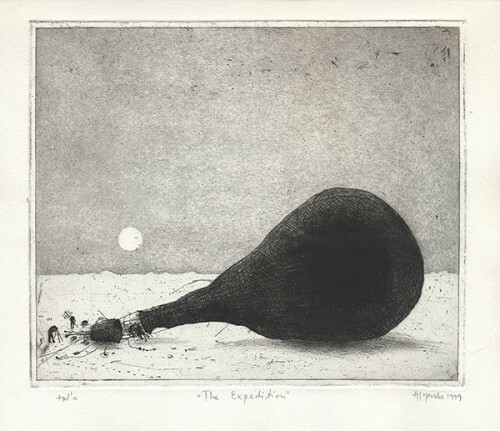 Editions of fine art prints are created alongside the assistance of professional printers – works by masters of the tradition of intaglio, as well as works by artists of a new generation of printmaking. 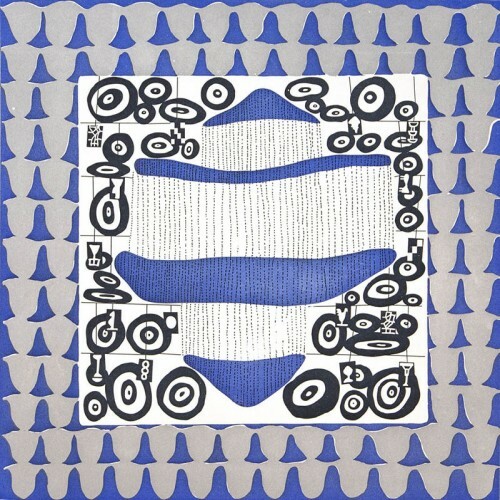 Artists are often invited to the workshop to create new work. 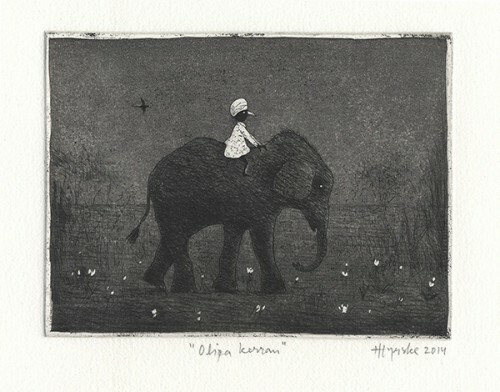 Himmelblau specializes in copperplate intaglio printmaking techniques, and occasionally uses other methods, including woodcut. The gallery has changing exhibitions, alongside a vast collection of prints by artists who have worked with Himmelblau over the years. By 2013 Himmelblau has published 1600 editions.